Amstrad was founded in 1968 by Sir Alan Sugar (probably best known nowadays for the TV programme "The Apprentice"), and is one of the early computer manufacturers to have traded on the London Stock Market, as Amstrad PLC, until recently, when it was taken over by BSkyB. During the 1970s, Amstrad were well known for producing lower priced audio equipment, hi-fis, TV, car stereo equipment, and audio amplifiers. In the 1980s, they moved into the home computer market, launching the CPC464 in 1984 to compete with Sinclair and Commodore. This was then followed by the CPC664, CPC 6128 and then the PCW range of business computers. In 1986, Amstrad took a bold step and acquired the Sinclair brand and range of computers, including the ZX Spectrum and Sinclair QL. They promptly withdrew the Sinclair QL from the market, and developed their own versions of the Sinclair ZX Spectrum - the ZX Spectrum +2 (with built-in cassette player) and +3 (with built in 3" disk drive). Amstrad also moved into MS-DOS and Windows based PCs, with the launch of the PC1512 in 1986 and PC2000 series in 1989. 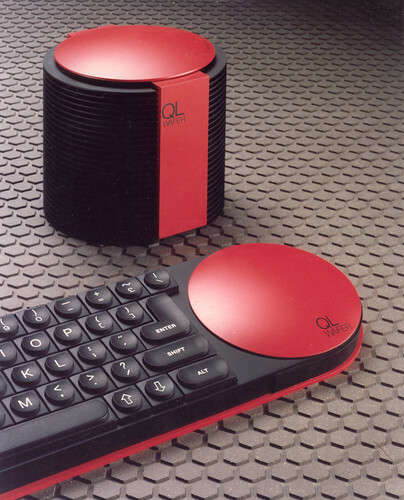 A range of portable computers was also released with the PPC512 and PPC640 computers which ran MS-DOS and had a built-in screen which could display either monochrome or colour. Amstrad continued to develop computer products under the Sinclair brand, with the Sinclair PC200 (based on the PPC512) and the Sinclair PC500 (a rebadged PC1512). They also worked with Sega to release the Amstrad Mega PC which attempted to combine both a PC and the Sega Mega Drive. Amstrad's final contribution to the world of retro computing was the E-M@iler - a telephone capable of sending text messages (and later holding video telephone conversations), and even downloading and playing ZX Spectrum games! Amstrad was finally taken over by BSkyB in 2007. 27 days, 23h:12m:01s £25.00 Buy now! Fruit Machine 0 days, 00h:04m:54s £2.95 Buy now! Bridge-It / Bridge It 0 days, 00h:06m:54s £1.95 Buy now! Animal Vegetable Mineral 0 days, 00h:06m:54s £1.95 Buy now! Xanagrams 0 days, 00h:07m:54s £1.95 Buy now! Sultan's Maze 0 days, 00h:07m:54s £1.95 Buy now! 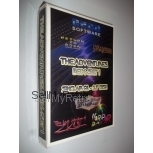 Roland In The Caves 0 days, 00h:07m:54s £1.95 Buy now! Oh Mummy 0 days, 00h:07m:54s £2.15 Buy now! 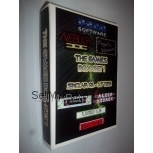 Grand Prix Simulator 0 days, 00h:07m:54s £1.95 Buy now! Trivial Pursuit - The Computer Edition 0 days, 00h:09m:54s £2.25 Buy now! Scrabble - The Computer Edition 0 days, 00h:09m:54s £1.95 Buy now! Ghostbusters 0 days, 00h:09m:54s £1.85 Buy now! Kentilla 0 days, 00h:11m:00s £1.95 Buy now!